A quick question for you–what do you tell your patients when they come into your office and inform you that they have a keloid scar they want to get rid of? Do you offer a surgical solution that will result in them going under the knife and being stitched up? If your patient is aichmophobic, then maybe you offer them alternatives such as cryotherapy, injectables or laser therapy. Or perhaps you comfort them by letting them know that keloids are non-malignant. 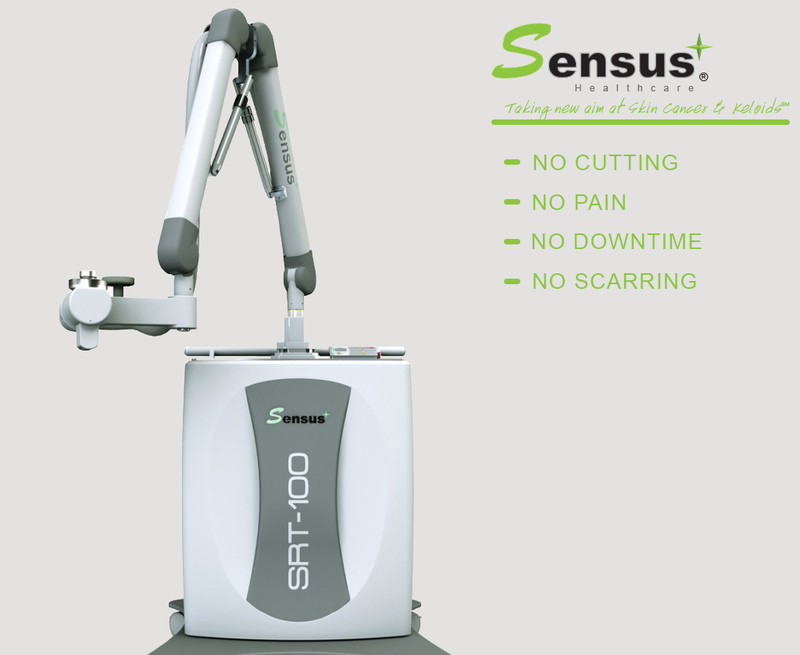 Sensus Healthcare understands that these strategies aren’t always the best solution to keloid scar removal, and we have just what you and your patients need, the SRT-100™. This state-of-the-art technology is exploding all around the world and you should have one in your practice too. Again, these are not all of the benefits of the SRT-100™. This technology is able to accomplish these wonders due to a specific low dose of Superficial Radiation Therapy. Due to this technology, knives, stitches and sutures are no longer needed in the process of removing a keloid scar. Sensus Healthcare knows that physicians choose their profession in order to make a positive difference in the lives of other people, and that’s why we want to make this technology available to doctors all across the world. If you believe that the SRT-100™ can do that for your practice, contact us and help us help you. Do You Have A Keloid Scar? We Have A Solution!